Welcome to the New Church of Hippie A place of freedom, freedom of speech, freedom of mind, freedom of dance, "There's no flower without power and we truly believe in a daily shower / There's no need for Patchouli over here, we'd rather have Yves Saint Laurent's "Opium" always near!". Hippie Dance has been the home to the stories of the Pachanga Boys legend, but later on expanded to share the music of other like-minded soundmakers that they encounterd on the lonesome yet crowded path of life. 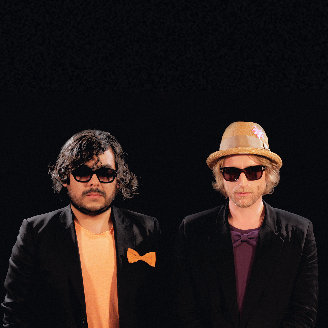 Together, Superpitcher and Rebolledo have cultivated a sensitivity for the unusual, for sounds that contradict the wannabies and stereotypes, the soulless and the superficial, together they have created a Hippie philosophy for those that understand. In celebration of Half A Dozen years of the Hippie Dance label, the Pachanga Boys project has become an exclusive and special experience in 2017 that is now mainly subjected to all nighters, happening in unique places and settings that can spark the Pachanga magic, as well as distinctive releases. 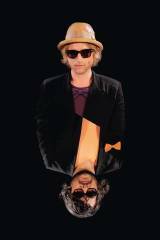 In the year 2017 Superpitcher is releasing ‘The Golden Ravedays’, his third full length studio album spread across twelve chapters of two tracks. 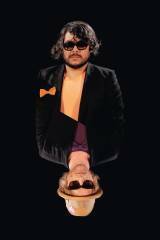 Rebolledo’s album ‘Mondo Alterado’ from 2016 is celebrated in 2017 with the release of a remix album called Mondo 'Re Alterado', featuring remixes from long time Hippie Dance friends like Paulor, DJ Tennis and Fantastic Twins. It’s especially at the merging of these two eccentric figures, that something unique and powerful emerges from the depths of life itself.